Fortunately, Switzerland is a land of contrast. While it’s hot in the lowlands, you can always find nearby some places to cool down. This is the case of the trip I made two weeks ago. It was hot and sunny in the city, so we jumped in the car and went to the mountains. The destination: ICE!!!! 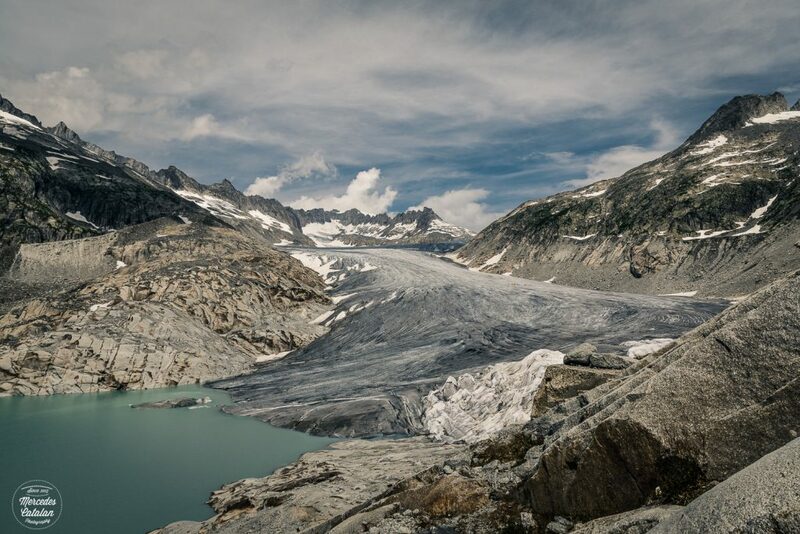 We visited the Rhône Glacier in the Valais Alps, source of the river Rhône. 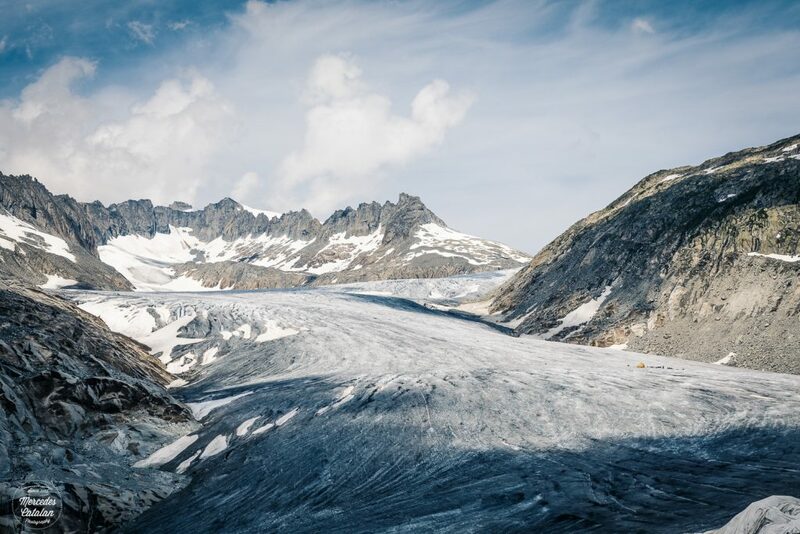 This glacier is very easily reachable by car, as it is very close to the road of Furka Pass and visiting it is a very peculiar experience. Why? 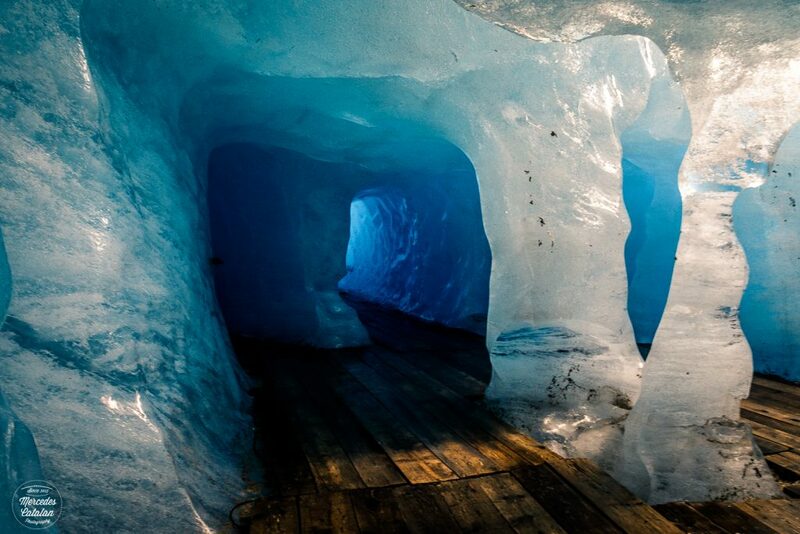 Because every year since 1870, a cave of about 100 m is cut into the glacier, so you can walk inside the blueish centenary glacier ice!! Well, this is not the typical hike we make every weekend, I know. 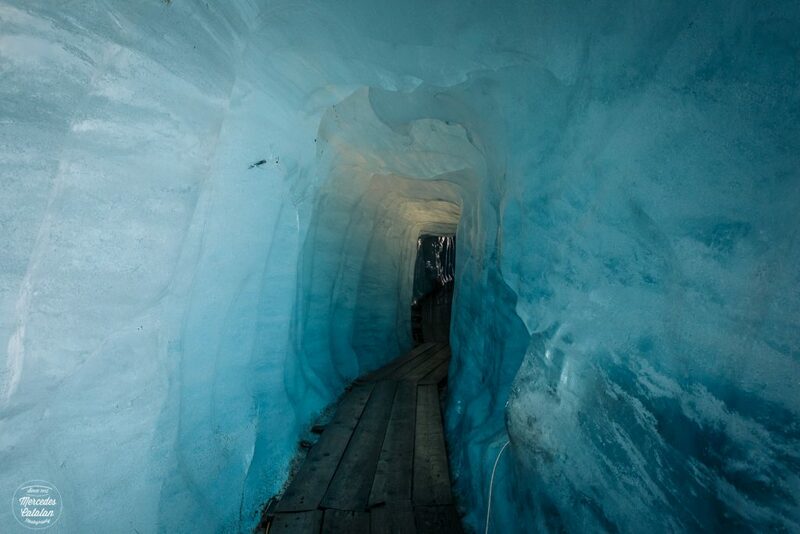 But the trip to the glacier itself is quite an adventure. 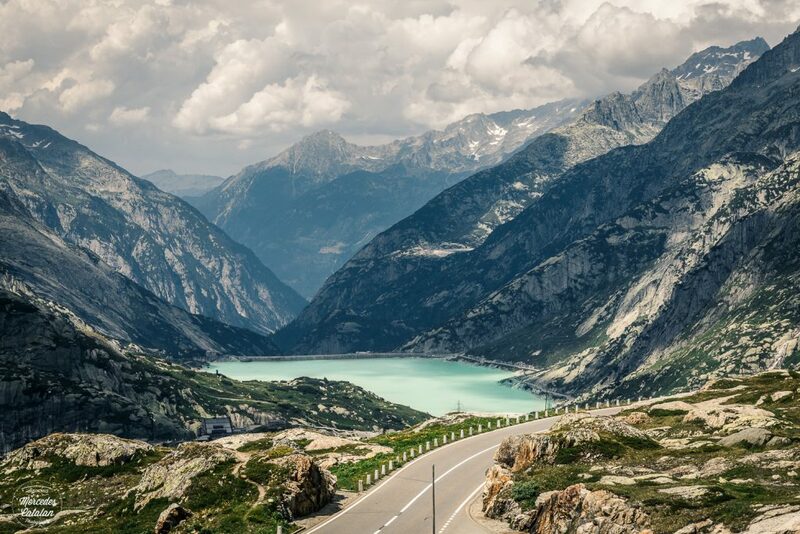 From Zurich, you drive past the always beautiful Lake Lucerne (Vierwaldstättersee) and soon you drive between the imposing Alps, now in summer covered with deep green forests. 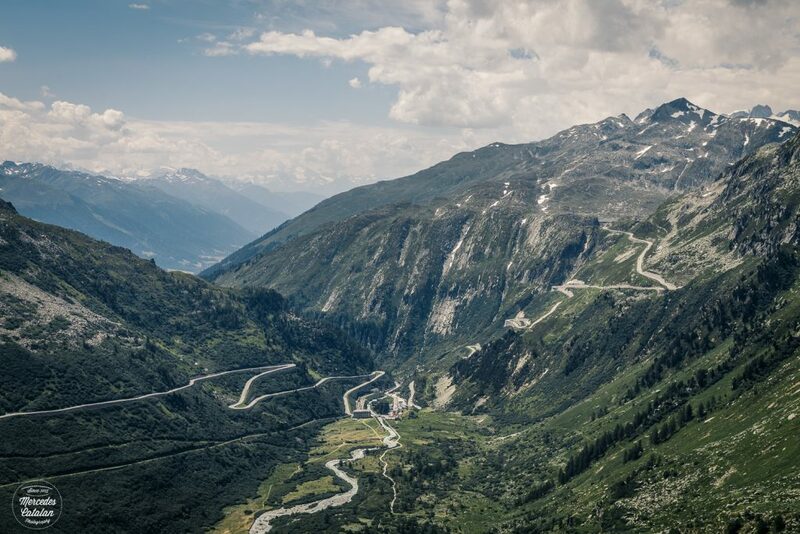 Then, the Andermatt green valley opens in front of you and it’s not long before you’re driving up into the Furka Pass, one of the most beautiful roads in Switzerland that only opens for a few months (and famous because it was one of the locations of a James Bond film, Goldfinger). 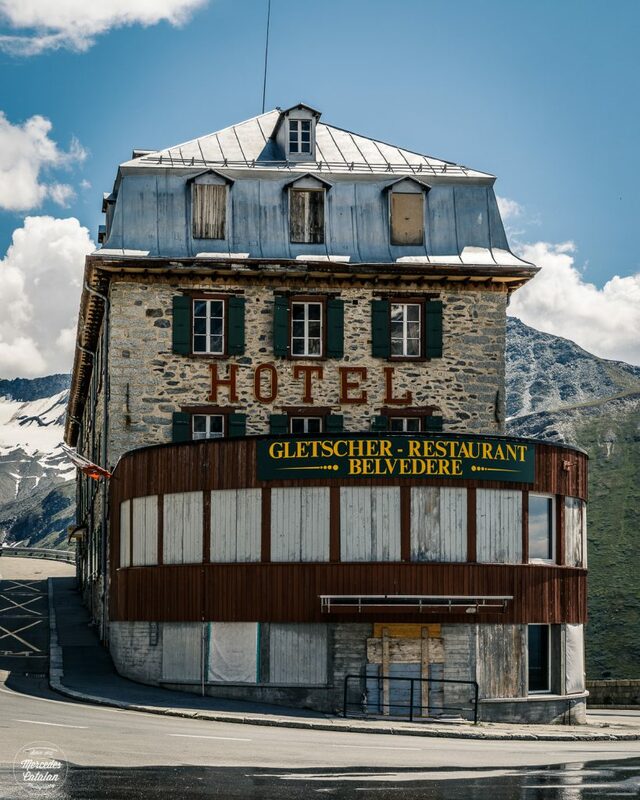 And then, just after you drive the highest point of Furka Pass (at 2429 m above sea level), you see the famous abandoned hotel Belvedere and the Glacier Rhône. The story of the Glacier Rhône is a sad one. Although it is still 8 km long, it has lost more than 1.5 km since 1870. 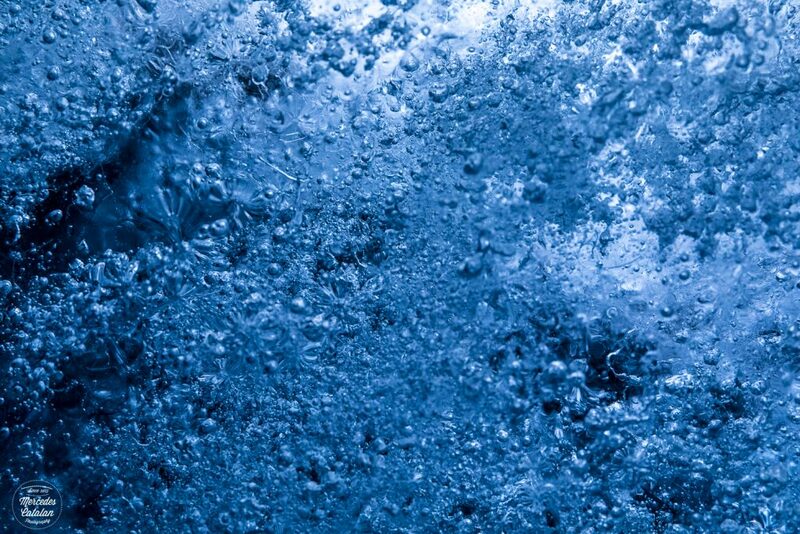 It is estimated that it will lose 50% of its ice volume by 2050 and be down to 10% of its present volume by 2100. You can see how much it has changed since 1870 here, and in the last 11 years here. It’s frightening!!! 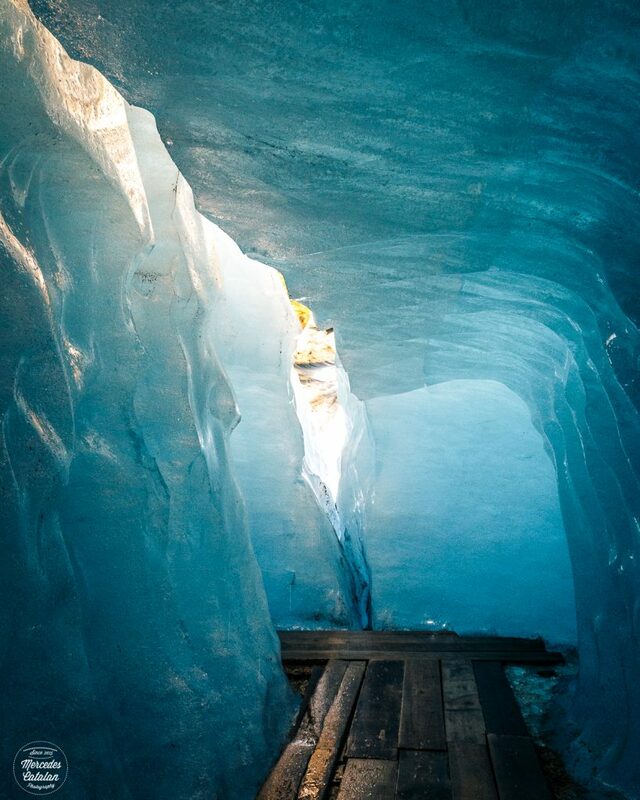 These days, the glacier moves around 30/40 m every year, and around 12 cm every day, so the cave has to be dug new every year, and at the end of the summer it loses almost 30% due to melting of the ice. 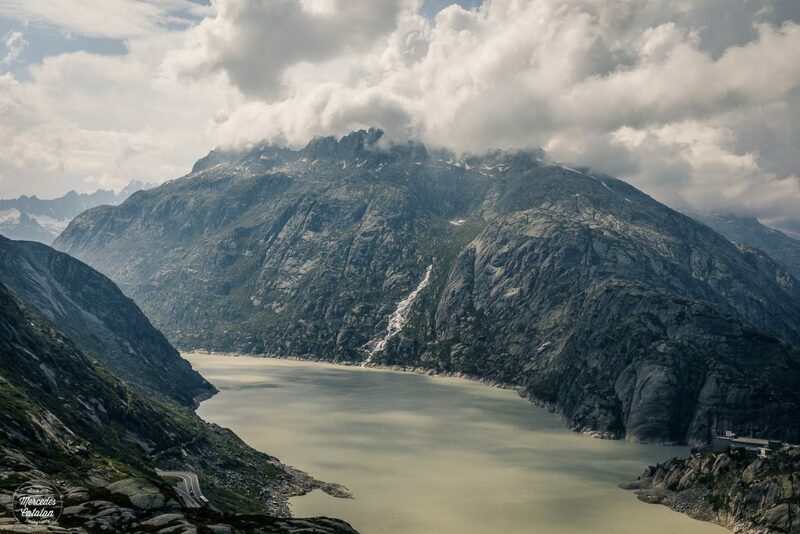 After visiting the glacier, we continued driving along other impressive mountain pass: the Grimselpass, before taking the road to home. What a great trip. 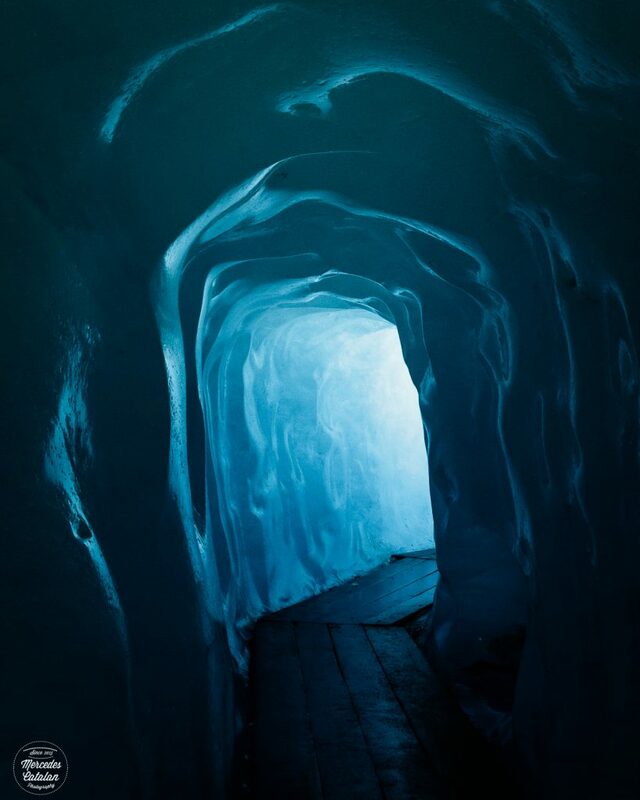 The images inside the glacier were amazing. It’s been unusually hot here too with weeks of temperatures over 100 F. And they say there’s no global warming! Fortunately we’re 2 hours from the ocean and 1 hour from the mountains. Enjoy the rest of summer! Thanks a lot, Anne!!! This one was an amazing trip!! One of my favourite of this year so far!! And one amazing experience too! After seeing the glaciers almost gone in Matterhorn, being able to see one from inside was incredible!  I’m going to Spain in a few days… I hope I can take some photos there and show you some pics from my homeland soon!! Have a great summer you too, Anne! !